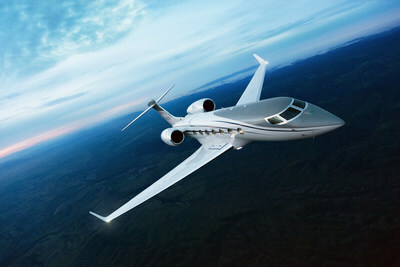 SAVANNAH, Ga., Feb. 7, 2019 /PRNewswire/ -- Gulfstream Aerospace Corp. received a 2019 Business Intelligence Group (BIG) Innovation Award for the advanced technology introduced on the high-performing Gulfstream G500. The Business Intelligence Group seeks out and rewards those with vision, creativity and persistence, all hallmarks found in the world's leading companies and individuals. The G500 earned the award for its influence on worldwide travel thanks to the introduction of the Symmetry Flight Deck™ and the safety advancements it brings to the business-jet industry. The new Gulfstream innovations feature active control sidesticks, the most extensive use of touch-screen technology in the industry, and Gulfstream's third-generation Enhanced Flight Vision System. The result is greater situational awareness, increased visibility, enhanced communication and a new level of safety in the skies. In addition to the BIG Innovation Award, the G500 received Aviation Week's 2017 Technology Laureate Award for the active control sidesticks and Flying's 2019 Editors' Choice Award. The Gulfstream-designed seats on the G500 and its sister ship, the G600, earned a 2018 International Yacht & Aviation Award.